Michael Waltrip, co-owner of Pastrana Waltrip Racing, is scheduled to address the media some time on Friday about the incident and the action sports star’s future. Pastrana was scheduled to make his first NNS start Saturday night at Lucas Oil Raceway in Clermont, Ind. Pastrana broke his right foot and ankle after back-to-back crashes during the Moto X Best Trick competition at the X Games in Los Angeles Thursday. Pastrana had planned to compete in Best Trick and Freestyle on Thursday and Friday, fly to Indianapolis to make his NASCAR Nationwide debut Saturday, then return to Los Angeles to compete in RallyCross on Sunday. 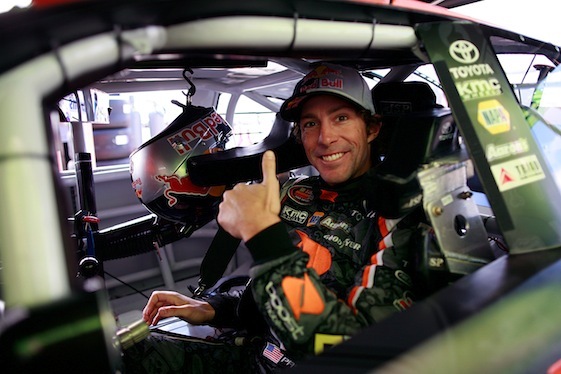 Pastrana, who has won multiple titles in supercross, motocross and rally cars, has taken a NASCAR training course of sorts in the NASCAR K&N Pro Series. He has run five NASCAR K&N Pro Series races this year, with a best finish of sixth in his NASCAR debut in January at the Toyota All-Star Showdown. But Saturday was scheduled to be his NASCAR breakout in racing. Both his team and ESPN, which will cover the race Saturday, had spent large amounts of time promoting the event. It had even been given the name “Pastranathon”. Rich Feinberg, vice president of ESPN Motorsports production, watched Pastrana’s ill-fated jump on television. When it became obvious there was a serious injury, Feinberg said, “My heart skipped a beat”. Feinberg said everybody knew the potential was there for a mishap, but that the X-Game and Pastrana’s appeal are tied to risk. “We had a plan and the plan collapsed,” Feinberg said.